When our children were little we had a dodgy old second hand television that could just pick up the five main channels in Sydney. It was a good thing we lived on top of a hill because there was no aerial on our roof. The television had once been a ‘state of the art’ model and its selling feature had been the built-in video player. My husband and I are avid readers and we weren’t too worried about having a wonderful television. Sometimes it got ‘the rolls’ when for some inexplicable reason the picture would roll up and down like a garage door. When this happened we would just turn it off and let it rest until it felt up to behaving again. Monitoring television time was not an issue with our first child who never sat still for long enough to watch a complete show. He did enjoy Play School on the ABC because they had some great craft ideas and we would gather all our recyclables and make our own version of the crafts straight afterwards. When our second child grew old enough to express her opinions and make choices about what to watch on television we found that she was not as discerning. Whatever was showing, no matter what it was would grab her attention. She went into another world and noticed nothing that was happening around her … she could not be reached. The only way to break the spell was to turn the television off which caused her great unhappiness. The unease I felt about the effect of television on our family life was compounded when the war in Iraq broke out in 1990 and the disturbing news was being flashed throughout the children’s viewing times. We had some very serious conversations and worried little people who were starting to wonder if the world was coming to an end. Watching the news was disturbing our eldest child to the extent that I felt that I should turn the television off before it came on. The other thing that I really disliked was the effect that watching commercials had on the children. The advertisements made them feel dissatisfied with their home-made creations and existing toys. They began to nag saying “Can I have …?” and “Mum, I’m the only one who doesn’t have ….”. The next Sunday night, on a rare occasion when my husband was sitting relaxing and watching television, the unthinkable happened. The screen disappeared into a tiny pinprick and then nothing – no picture, no sound, no television. We turned it off and gave it a little rest but to no avail. The television had died. I covered the television with a shroud and left it in the corner of the lounge room to sit quietly while we experimented with life without it. If we felt that it was a necessary evil in our lives we would look into having it fixed or buying another one. Interestingly, the first week was a nightmare as some of the children suffered withdrawals. They fought, whinged, complained about being bored and felt left out at school because their family was ‘strange’ and they couldn’t even pretend to talk about tv shows with their friends. We were unmoved and delighted when out of sheer boredom the greatest tv addicts would pick up a book and escape into another world through print media. They also began to play outside more and make friends with the neighbouring families. Admittedly they would watch a little television with their friends but they would interact with them while they did so and discuss what they were watching, which was better than the way they watched television at home where no one was allowed to talk to them. People found it hard to believe us when we told them we didn’t have television. They looked at us as if we were part of the Amish movement and pitied our children. But the benefits outweighed any losses. My husband, when he was home, would read aloud to the children while I was preparing the dinner. I would be listening as well and would not announce that dinner was ready until he finished the chapter. He read through J.R.R Tolkien’s,’The Hobbit’, ‘The Lord of the Rings’, C.S Lewis’s Narnia Series and even the unabridged versions of books like ‘Peter Pan’ and ‘Wind in the Willows’. They were precious times. We were so old fashioned that we even sat around the table and talked while we were having dinner. Finding babysitters was a bit difficult. My mother-in-law couldn’t live without her telly and used to bring her portable one from home if she came over. One of our friends was fantastic. She would organise for us to have a night out and then would play board games with the children. On more than one occasion we came home to find our son still up. They would be playing Scrabble. It was pretty serious and the dictionary was always out. This absence of television went on for ten years, from the time our eldest son was nine until he was nineteen. 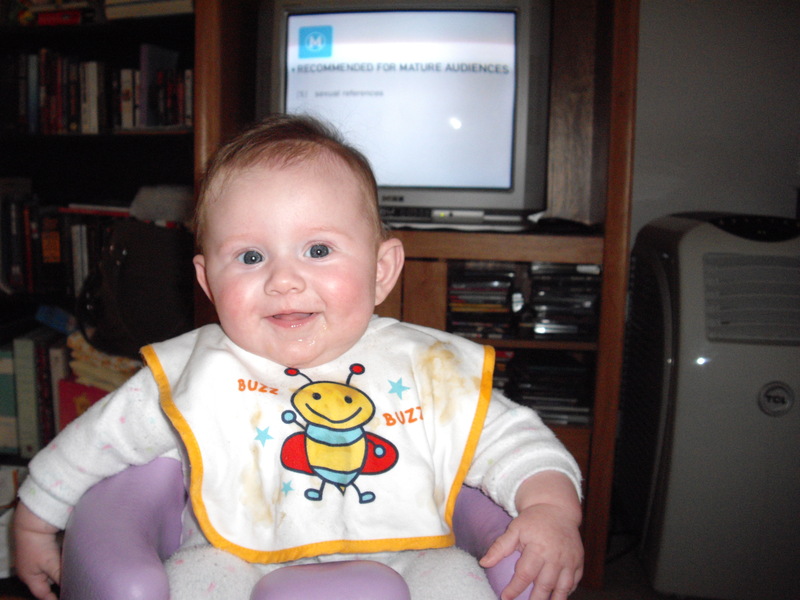 Our youngest daughter can never remember us ever having a working television when she was small. We do have television now. At nineteen, our son had a serious head injury from a skateboard accident and we bought a television with surround sound so that he could listen to his music and play games on it. At the time, he was bedridden and we were worried about him dying of boredom. Fortunately his Uni friends would come and keep him company and play cards with him but they couldn’t be there all the time. So, do I recommend life without television? We can probably attribute the fact that all of our children are avid readers to the habits that were built up when they were younger because there wasn’t the distraction of television. There was also the added bonus of them being encouraged to leave the house to look for activity and company because there was not the easy option of flopping down in front of the tv. As always it depends on the family and their circumstances. It suited us and I am very grateful for the day the tv died.